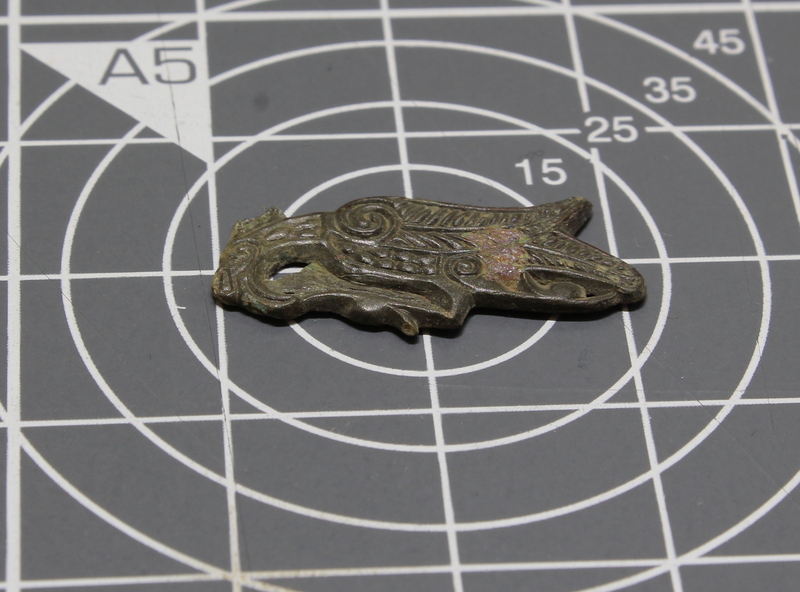 Archaeologists excavating Bamburgh Castle in Northumberland have discovered an artifact whose historical significance is as large as its dimensions are small: a copper alloy fragment decorated with a stylized representation of a bird of a type often found in early medieval art from northern Europe. Just 23mm by 12mm (.9 by .5 inches) in size, the artifact is thin and flat with decoration only on one side. It was likely mounted on a larger object as a decorative element. 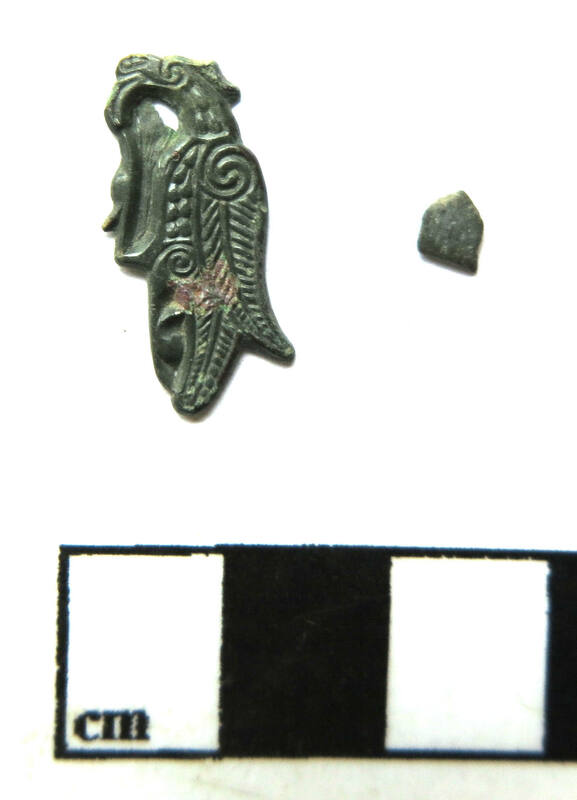 Harry Francis, part of the Bamburgh Research Project (BRP), found the piece at the end of last summer’s dig season on a cobbled surface just below a 9th century building used for metal working. Archaeologists believe based on the layers that the bird dates to the 8th century. The decorative style is more in keeping with eagle and bird of prey motifs from earlier 6th and 7th century artworks, which makes the bird mount unique with no known parallels in the archaeological record. It’s possible this was a local evolution of Anglo-Saxon art from a century or two before. In the 8th century, Northumbria was one of about a dozen small kingdoms in the territory that would become unified England under Æthelstan in the 10th century. Bamburgh was a major political and military center in the Kingdom of Northumbria at that time. Conservators have been cleaning and stabilizing the bird mount since its discovery, and the first publication on the artifact is scheduled for later this year. Meanwhile, the bird is on display at Bamburgh Castle until October 29th alongside other archaeological materials like swords and elaborately decorated gold pieces unearthed during the project. Bamburgh Research Project archaeologists will be on site between June 11th and 15th and will be available to answer questions and chat about their finds with visitors to the castle.